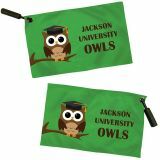 Our Game Day Flags are perfect to show your school pride and to showsupport to your favorite sports football team. Fly your team flag to encourage the home team and to drive up the frenzy and the excitement at the sporting field. 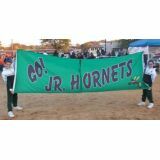 Our EZ breakaway banners make an elegant way to introduce the sporting team and to make the audience sit back and take note of the team where as the single face reverse or double sided school spirit flags will enhance the popularity and goodwill of your organization among the local community.Shop from our complete line Game Day Flags right away and avail the best prices, quick shipping and much more! 100% customer satisfaction guaranteed! Drive up the game day spirit and celebrate the home team with our Custom Game Day Flags that are designed to last long and turn heads whenever they are flown! While our EZ breakaway banners will make the best options for sporting team introductions during game events the school spirit flags are the best options to flaunt the school spirit. Light weight and easy to fly for all those exciting victory laps, our flags come with a pole sleeve that will keep the flag well displayed and in place. We also have school scoring poles for the flags. Get your fansfired up for the game day and cheer your team to victory with our game day flags. 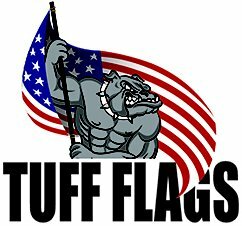 These beautifully made flags are great for pep rallies, home coming and other team events. 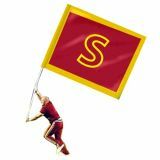 Put your team colors, mascot or slogan on these superior qualityKnitted Polyester School Spirit Flag. The pole sleeve will help the cheerleaders to wave and snap up dramatically during a certain cheer. Celebrate game day fun and team spirit at its best with these Game Day Flags from Tuff Flags. Browse our collection and pickup the flags that will add a lot of sports spirit to the big day. 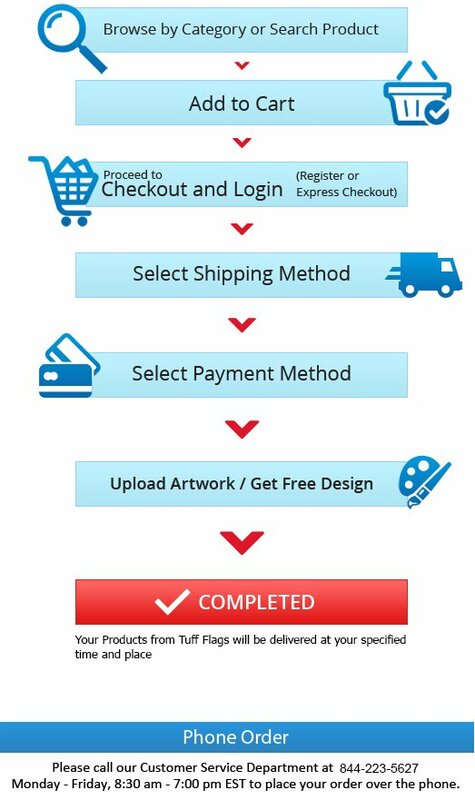 Should you need any shopping tips or assistance, call us at our toll free number (888) 872-3524 or email us at customercare@tuffflags.com.